In a skilled nursing environment, exercise training is essential in helping patients, whether in short-term or long-term stay, regain function, achieve positive outcomes and, most importantly, reduce hospital readmissions. 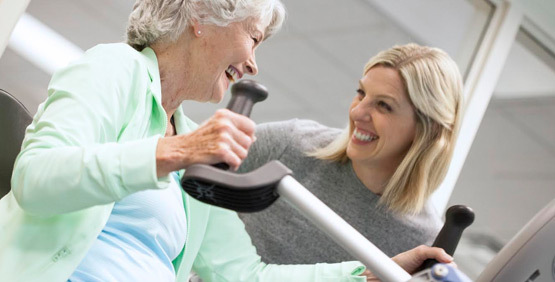 In that skilled nursing patients range from those rehabbing from a joint replacement to those experiencing chronic health conditions coupled with cognitive decline, exercise equipment that meets a wide range of patients’ needs is important. The inclusive NuStep recumbent cross trainer can help patients build strength, increase cardiovascular endurance and enhance mobility – all vital to performing activities of daily living successfully. The NuStep’s low-inertia start-up, user-controlled step length and multiple resistance levels allow patients to control their workout and easily adapt it as they progress. Adaptive equipment provides additional support for patients who are deconditioned or have limited mobility.